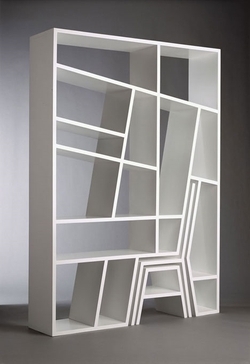 Bookshelf furniture seek 'n' find - "Write now is good." I love the hidden chair and foot stool. All is well...writign along...how about you? Ricky — Congrats on seeing the chair! Alas, no prize. IKEA? I'll look for this there on my next seek 'n' find furniture shopping spree.